Last week I closed my old twitter account to concentrate on my new projects. I feel, focusing on one thing instead of many will help me get more things done. 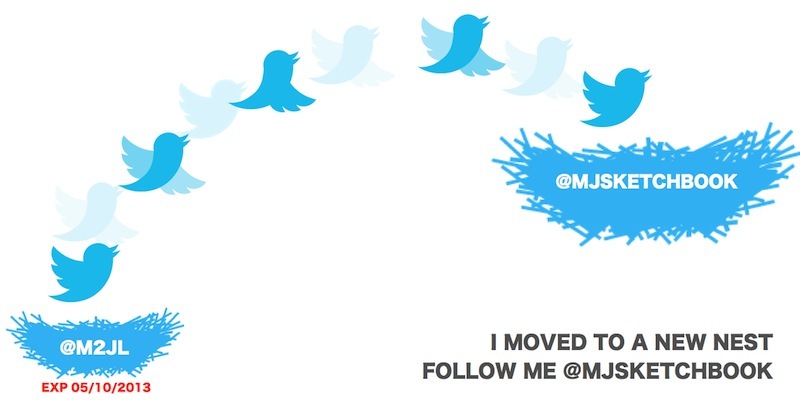 Before closing it, I designed a little header that illustrates my move from the @m2jl nest to the @mjsketchbook. Since twitter is represented by a bird, I imagine my twitter name is a nest. I really like the idea and wanted to share it with you.